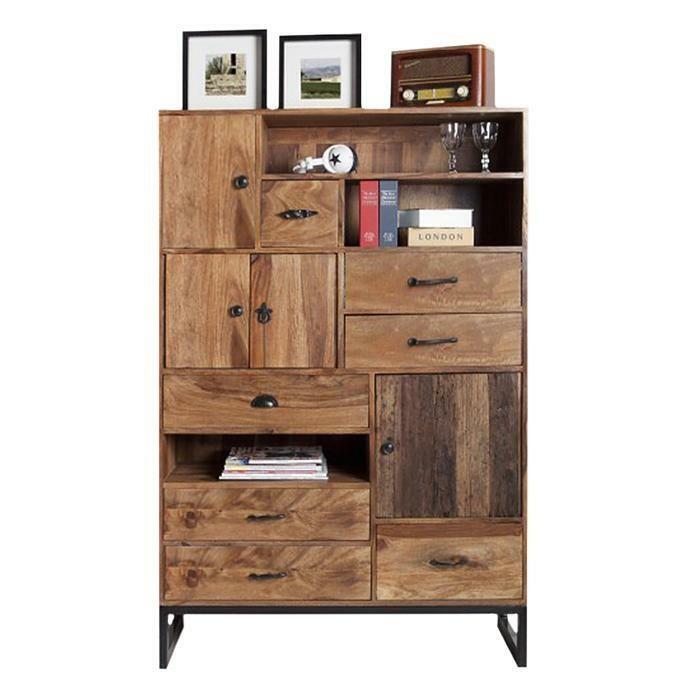 This Mac dresser from Tuff Avenue is a functional piece in any dining room. It comes in a Natural color and features 4 doors, 7 drawers, 3 open shelves, and a metal base. This piece is crafted from solid sheesham and reclaimed wood. Volume 25.4 cu. ft. / 0.72 cu. m.